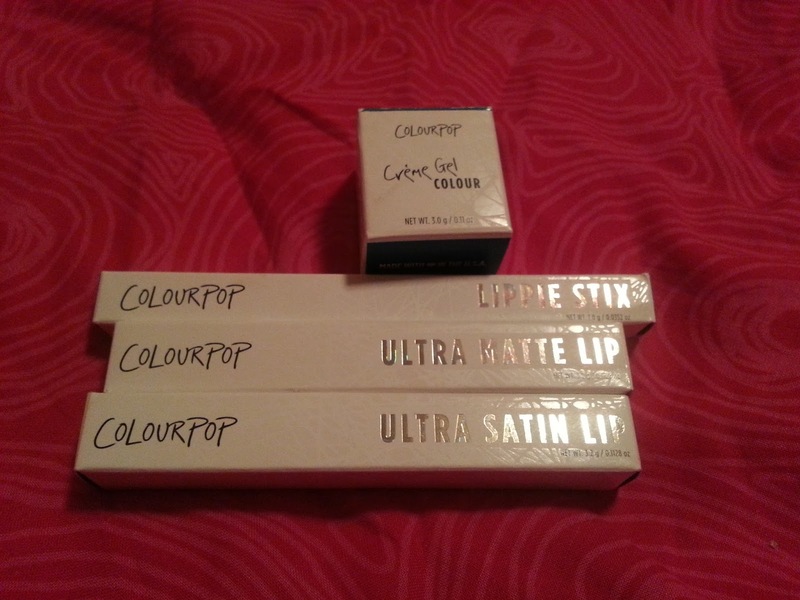 I made a small Colourpop order not too long ago. I've never tried the liquid lipsticks and I find myself reaching for those types of lipsticks more often than your traditional lipstick. I like how long lasting they are, and don't wear off as easy as regular lipstick. Seeing as how Colourpop carries a ton of colours, I decided I would place a small order with them. As you can see, I didn't only get liquid lipsticks, I also picked up some other items. I used to always use gel eyeliner in the past. I was a little afraid to use liquid eyeliner and I've never liked the look that a pencil eyeliner gives me. Eventually I did start using a liquid eyeliner but I sometimes miss how easy it is to use a gel liner. I decided to pick up one of the Colourpop gel eyeliners in Brew-Haha. It's a dark brown, almost black. Going through all of my makeup, I realized that I don't have any brown liners. I really enjoy black liner but sometimes it seems too harsh. 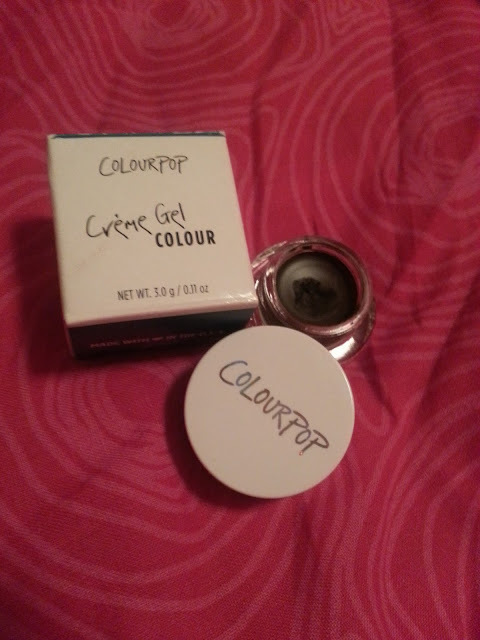 I like the formula of this gel liner, its creamy and doesn't give me raccoon eyes. 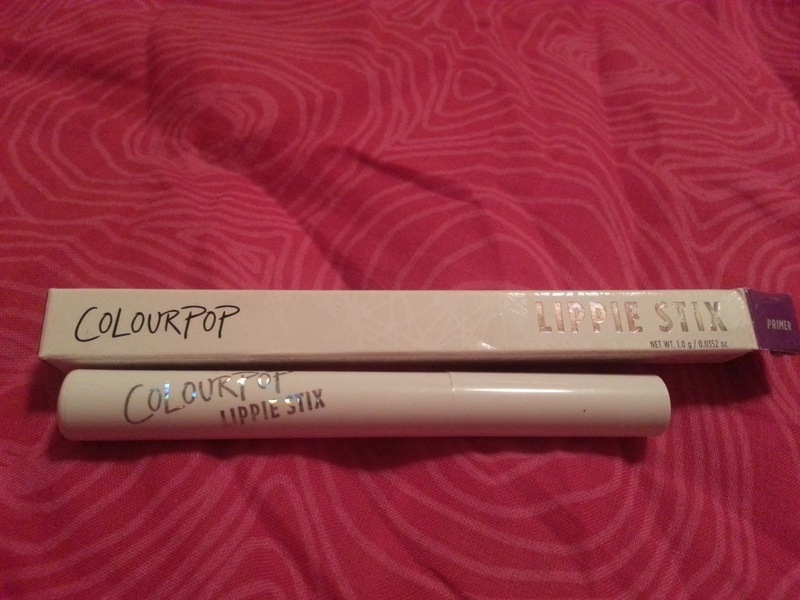 I would definitely repurchase these again in different colours. 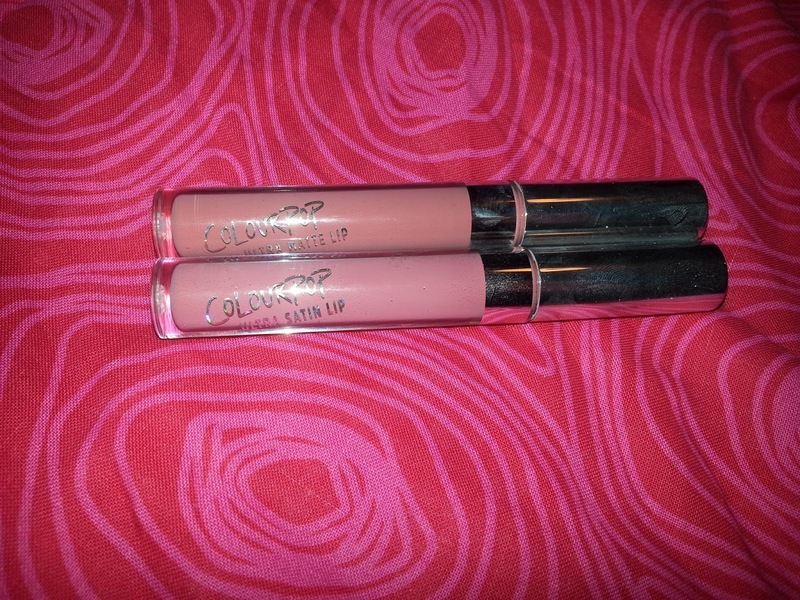 From what I have read online about Colourpop liquid lipsticks, is that the mattes can be very drying. People recommend using a primer beforehand, so before I even attempted any of the lipsticks, I decided I would use this primer. Initial thoughts was that it was just chapstick.. But after some wear time, it really isn't. It smooths your lips but keeps them hydrated. My lips don't crack underneath and it keeps your liquid lipstick in place. This was such a great investment, I will definitely be repurchasing this once I run out. I had a hard time deciding which colours I needed. I always want nudes although they never work on my skin tone. And then I have to be careful because some of the pinks can be too dark, or bright. I stumbled upon Solow and decided that would be the one I would try. In the swatch on my hand, I was afraid that Solow was a little too "terra cotta" for me. I almost didn't want to put it on my lips but I'm so glad I did. It's almost a your lips but better shade. It does pull a little orange (I think at least) on me, but its not distracting. I've only worn it with the primer and I have been very impressed. It doesn't transfer once it dries, and doesn't come off if I'm drinking water. I can almost get a full day of wear without reapplying. So impressed! 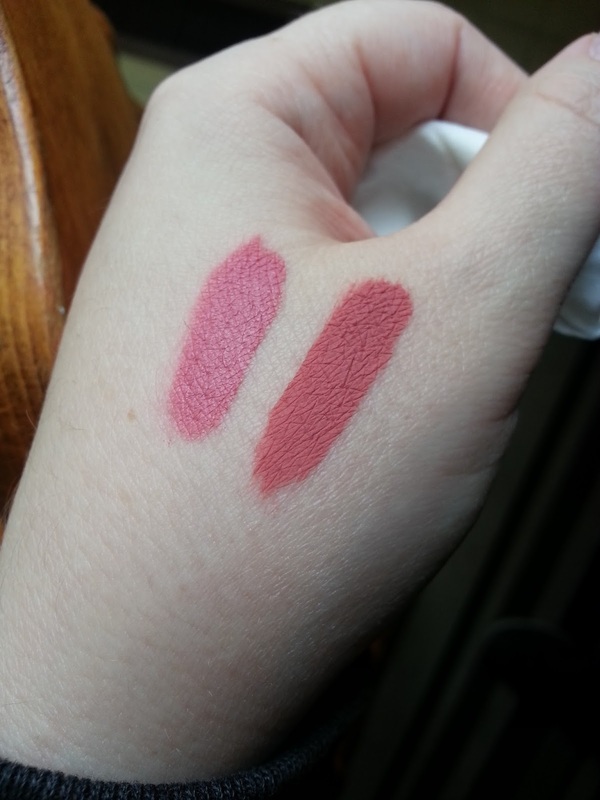 - You'll see a swatch of both of these colours just below! This was the main reason I wanted to try their liquid lipstick. I saw that they had released a new ultra satin line, which was supposed to be less drying than the ultra matte line. I ordered 1 matte and 1 satin to really compare the two. Spritz turned out to be more of a bubblegum pink for me. I thought I was going to enjoy the colour more but I'm finding it a little too bright for me. One thing that I do dislike about this liquid lipstick is that it feels like it doesn't dry. Even with or without the primer, it just sits on my lips and doesn't dry. It transfers a ton. Especially while eating, which can be a mess. I find with the primer it feels so thick and its just not comfortable. I'm really happy with this recent colourpop order. I'm glad I finally gave the liquid lipsticks a shot. I initially thought I would not like the matte lipstick and was thoroughly surprised when I discovered I didn't like the satin version. Colourpop just had a 24 hour sale, and everything was 20% off. I actually ordered a few more items (there goes the no buy I tried to follow lol). I'm not sure how long they will take to get to me, but the online sale was nuts. The site kept crashing and eventually they put up a queue line. I was number 8740 and had to wait an hour before I could place my order. Others were posting that they were in the 24,000s! Nuts!